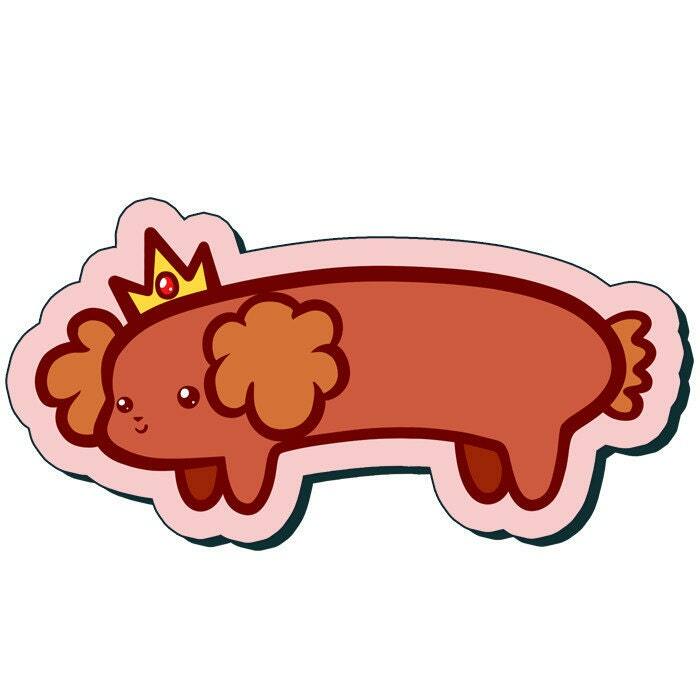 This sticker features artwork of Hot Dog Princess from Adventure Time! This sticker is die cut, and measures approximately 3 inches in height. Drawn by me, stickers are approximately 3 inches in height or width, this design has a pale hot-dog coloured border. Great quality! Super cute. Thank you! I LOVE Adventure Time, and even though my roller derby persona is modeled after Lumpy Space Princess, I couldn't resist getting this teeny-tiny Hot Dog Princess. I like that it's a slightly thicker sticker, so it doesn't seem as fragile. Easy to peel off and stick on.